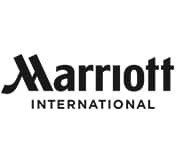 Marriott International Inc. (Marriott) is a lodging company based in Bethesda, Maryland, with more than 4,200 global properties in 80 countries and territories. According to Ibis World, the U.S. is home to 61.9% of Marriott’s rooms. Marriott operates and franchises its hotels under various brands, including Marriott, the Ritz-Carlton, Renaissance, Courtyard, TownePlace Suites, and Bulgari. It also develops and operates vacation ownership resorts under the Marriott Vacation Club, Horizons, the Ritz-Carlton Club and Grand Residences brands, while also running Marriott Executive Apartments. Marriott allows franchisees to operate one hotel of a specific size at a specific site. The site is selected by the franchisee and must be approved by the franchisor. However, the franchisee does not receive an exclusive territory. Franchisees may face competition from other franchisees, from outlets that the franchisor owns, leases, manages, licenses, or franchises, or from other channels of distribution or competitive brands that the franchisor controls. Joorney Business Plans has extensive experience in helping Marriott franchisees develop in-depth local market and competition analyses. The initial investment for establishing a Marriott franchise business ranges from $67,354,090 to $105,312,590. The initial investment includes a wide range of fees such as the initial franchise application fee, operating supplies, and building construction fees. Joorney Business Plan Writers have experience in developing long-term financial projections for Marriott hotels and understand the specifics pertaining to the initial investment requirements. All personnel at a franchisee’s hotel must complete a specified training verified by Marriott. A franchisee must operate the hotel or hire a management company approved by the franchisor. In order to supervise the business on the premises, a general manager must complete the specifically tailored training program. A general manager and other managers must work full-time to manage and operate the hotel. Joorney Business Plans develops detailed personnel plans and links the proposed employees’ training to their designated roles. A franchisee must pay 1% of gross room sales to a Marriott marketing fund, as a contribution for marketing fund activities. The funds are used to create a wide range of traditional and digital marketing strategies. A franchisee will also be responsible for local advertising and marketing programs and press releases that will be at the franchisee’s expense and in accordance with the franchise agreement. Marriott may also establish, coordinate, and require franchisee’s participation in special marketing programs. Examples of special marketing programs include cooperative advertising programs, sales and marketing programs, customer satisfaction programs, travel agency programs, events, and frequent traveler programs. Special marketing programs have a cost to a franchisee that is in addition to the marketing fund charge. Joorney Business Plan Writers help franchisees in writing advertising and marketing strategies and developing budgets in line with the franchise agreement. Marriott is the largest hotel and resort chain in the world both by the number of units and annual revenue. Its brands vary in prices and range from traditional hotels to extended stay concepts. All Marriott franchisees benefit from a strong balance sheet, sound management, and a record of industry leadership.